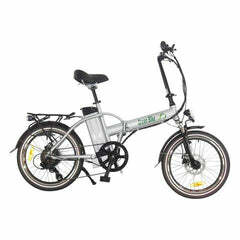 The Green Bike USA GB500 is one of the most exciting folding electric bikes on the market. 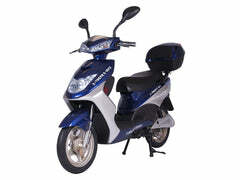 With it's powerful 48V battery and 500W motor is can take on the steepest hills and offers an exciting ride. 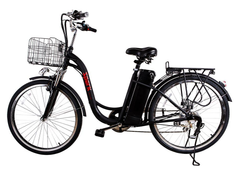 The GB500 boasts both a front and rear suspension to ensure a smooth ride and it folds easily for storage or transportation. 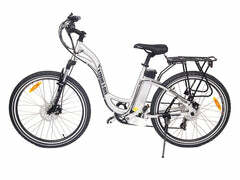 Watch our GB5 review, same bike except the motor/battery set-up. 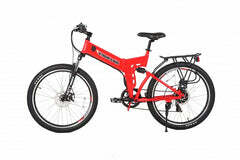 This bike can travel upwards of 60 miles on a single charge thanks to the high capacity 13 amp lithium battery. 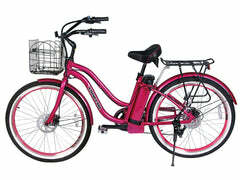 It will cruise at 20 miles per hour and uses Shimano 6-Speed gears. 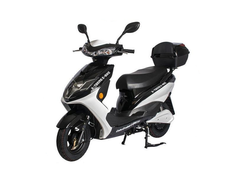 Another great feature of this bike is the LCD display it comes with, this will allow you to keep track of your speed and mileage during your rides. 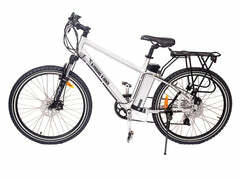 Disc brakes ensure you will have excellent stopping power in all conditions, and the bike is outfitted with a beautiful set of fenders to prevent mud or rain from splashing up. 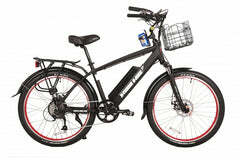 RIDE OVER 60 MILES ON A SINGLE CHARGE! 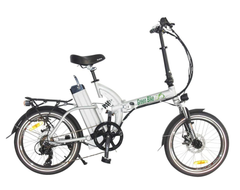 The GB5 electric bikes come with a 13 amp hour battery system. 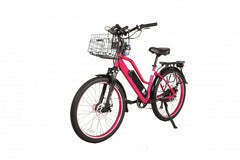 This allows the bike to easily reach over 60 miles on a single ride with a fully charged battery. Fast charging Lithium Samsung battery 48V/13AH. 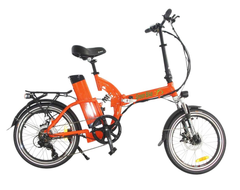 Newest technology of 500W motor and 48V batter, which allow up to 60 miles and 90 miles with pedal assist per one charge.